Veronica Etro's inspiration this season draws an arc that spans from the boho ikat of Bali to the delicate plum trees of Japan. 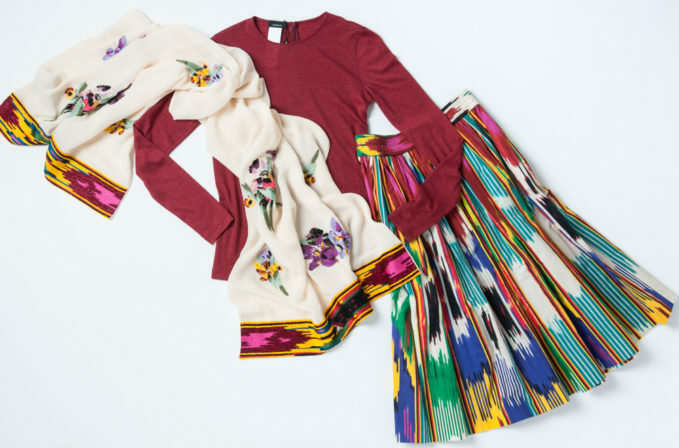 This opulent silk embroidered and beaded Etro scarf and ikat printed multicolor skirt are paradigmatic of the texture and vibrancy found when traveling along the eastern edges of the Pacific Rim. A soft and breathable silk and cashmere crew neck top by Akris completes the look.